Scottish Werewolves: freaky Vampires and a Slayer with a bad addiction and an insane legacy. Add a big dose of sarcasm, sizzling chemistry; a lot of silver and a ton of blood and . 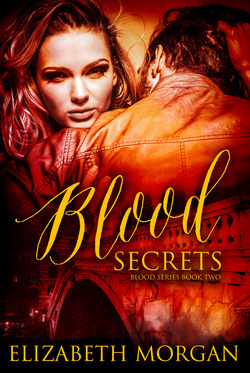 . .
"Elizabeth Morgan’s vampires and werewolves are not to be missed; her ability to make tired supernaturals seem new again is impressive and refreshing. I thoroughly enjoyed her She-Wolf novella from this series but Cranberry Blood offers even more bang for your buck with its relentless pacing, rambunctious characters and entertaining story." ﻿Dealing with the Rogue Werewolves terrorizing his Pack? Simple. The Blood Series Facebook Page - For updates, background information, character profiles and more.